A Coffee, a cafe and training project for autistic teenagers, reopened on Friday at the Shanghai Youth Activities Center in Jing'an District. Staff at A Coffee make coffee on its reopening day on Friday at Shanghai Youth Activities Center in Jing’an District. A unique coffee shop run by autistic teenagers that was forced to close because the property owner took back the business space reopened in its new home on Friday. 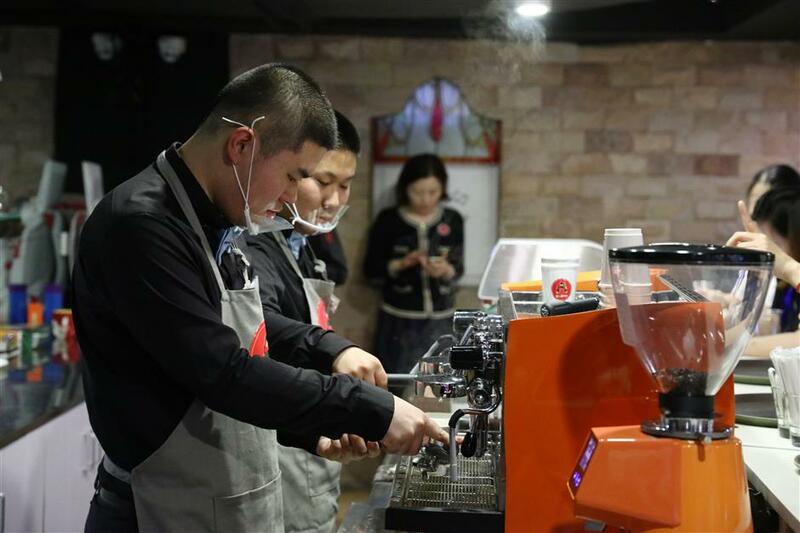 A Coffee opened its doors at the Shanghai Youth Activities Center in Jing’an District. It closed its first location in Jing’an Park this month after just a few weeks because it was more successful and busier than the building’s management had expected. Organizer and charity worker Cao Xiaoxia said the new 200-meter, rent-free space at 188 Hanzhong Road is more convenient as it is close to Metro lines 1, 12 and 13. The center is also offering cafe staff places in its music courses and other activities. The new shop is open from 11am to 3pm and staffed by eight autistic teenagers, mostly aged between 16 and 18, working as baristas and waiters. Trained volunteers play “customers” to help the training. 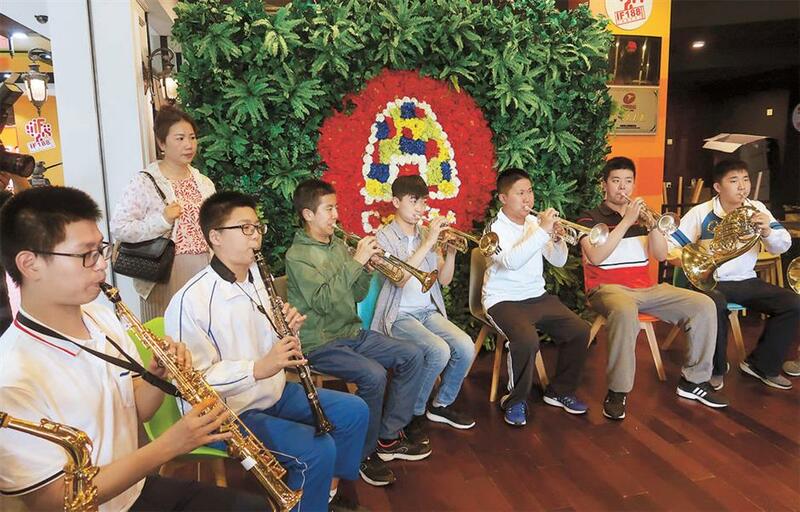 Autistic children from the Angels Confidant Salon orchestra, a charity project initiated by local musician Cao Peng, rehearse yesterday for today’s reopening ceremony at A Coffee’s new home. Yesterday afternoon, the teenagers gathered in the new space for the final preparations, including fixing chairs and finishing basic decorations. Learning how to make coffee is not the hard part, said Cao. Communication is. “The teenagers are also learning they can’t do what they want all the time just because they are autistic,” Cao said. “They can’t be emotional or cry whenever they feel like it. Having a job, they will learn to become a ‘normal person’ like others.